Plymouth Yarns Oceanside organic cotton knitting yarn a fabulous dk weight in an affordable, all natural organic knitting yarn. 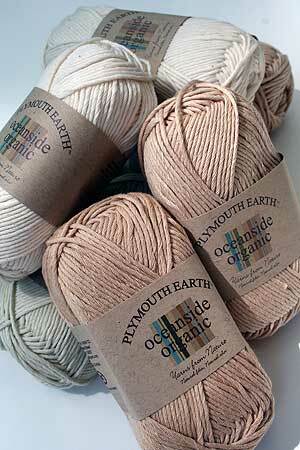 Part of the Plymouth EARTH collection of Organic and natural fiber yarns. Coming Soon! Patterns for Oceanide Organic yarn!